JERSEY CITY, N.J., November 29, 2016 –TrialScope, the global leader in managed compliance solutions for disclosure, today announced that the company is the recipient of the 2016 Corporate Livewire Healthcare and Life Sciences Best in Clinical Solutions Award. The Healthcare and Life Science Awards celebrate the most innovative and successful projects carried out around the world over the past 12 months. The awards allow scientists and healthcare professionals to showcase their efforts and ideas in the industry. Each award-winning individual and company have made a difference in patients’ lives. Over the past year, Corporate LiveWire accepted nominations and the judging panel considered the strengths of each shortlisted candidate, setting its sights firmly on the most ground breaking firms, teams and individuals who have transformed global healthcare. Read more about the award here. TrialScope, recognized in CIOReview’s 2016 List of the 20 Most Promising Pharma and Life Sciences Tech Solution Providers, and the 2016 HealthCare & Pharmaceuticals Awards, simplifies the complexities of clinical trial transparency. 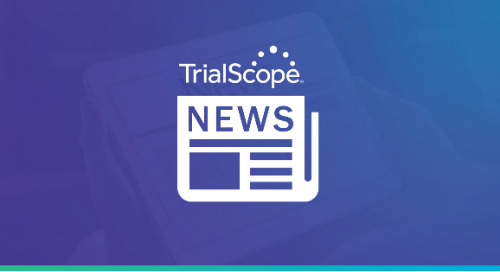 TrialScope’s award-winning, proven solutions have been implemented successfully and rigorously tested in the most complex environments and are managing disclosures for roughly 30% of industry sponsored clinical trials. The company’s market-driven solutions and expertise enable sponsors to improve performance, mitigate compliance risk, and ultimately optimize efficiencies with clinical content lifecycle management tools, expertise and processes. TrialScope technologies are offered via a validation-ready SaaS platform hosted in a private cloud. TrialScope is the clear leader in managed compliance for global disclosure. The post TrialScope Accepts Best in Clinical Solutions Award appeared first on TrialScope.